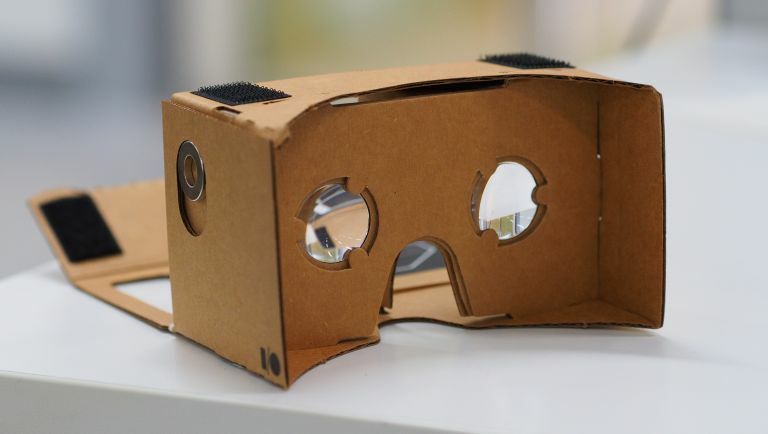 If sources are to be believed, search engine giant Google is working on a brand new virtual reality headset. Following on from the success of its clever and ultra-low budget Cardboard design, the firm is apparently busy investing in a device that will still incorporate Android smartphones, but with a more robust, Samsung Gear VR-esque design. Those sources, reported directly by the Financial Times, claim that the new headset will have a plastic shell and will be miles ahead of its work with Cardboard. Said paper-based device proved very popular with Android users and always felt like a cost effective testing of the water for the VR market so a potential investment in a 'true VR' experience does hold some weight. Those same sources also claim Google isn't just turning its attention to VR hardware, but also the future of its software. Apparently the firm will be baking virtual reality support directly into a future Android update, retrofitting the OS to support the technology beyond the simple apps used by Cardboard. Of course, Google hasn't confirmed or denied these new rumours, but if the big G is planning to unveil more plans for the world of VR, we'll likely hear about it at Google I/O in May. Why not check out: What is the best vape pen and e-cigarette?